This is the story of a little girl who wonders why her baby brother spends so much time at the breast. She learns that milk comes from the breast and that is the only food a baby needs. She learns that breastfeeding is also much more than food, it’s a place for a baby to feel safe and loved and for mother and child to communicate to each other. The Mystery of the Breast has some lovely illustrations in its 32 pages. There is a baby feeding on a bench in the park, and on a bus, daddy holding the baby while the family go shopping, and baby brother happily asleep at the breast. 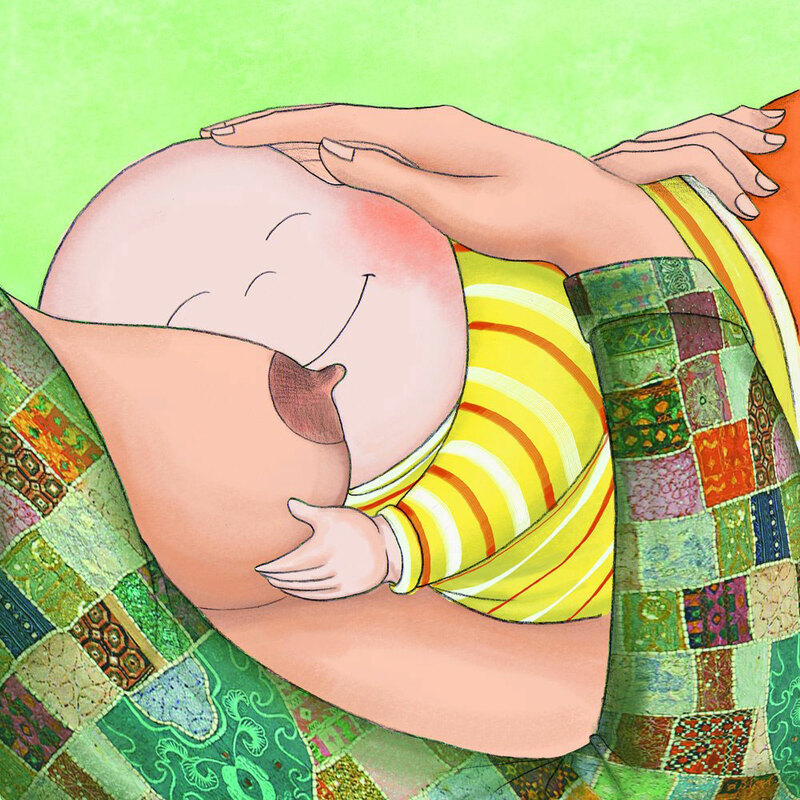 The illustrations will create a good talking point for little children around feeding and baby care. It’s nice to find a book without the obligatory hospital birth and scales, bottles, dummies or prams.